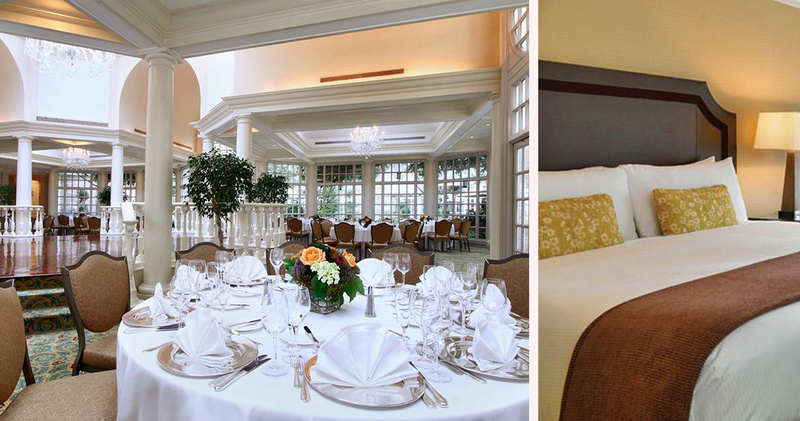 Fairmont Hotel is a charming hotel with stylish surroundings and luxurious, attentive service. 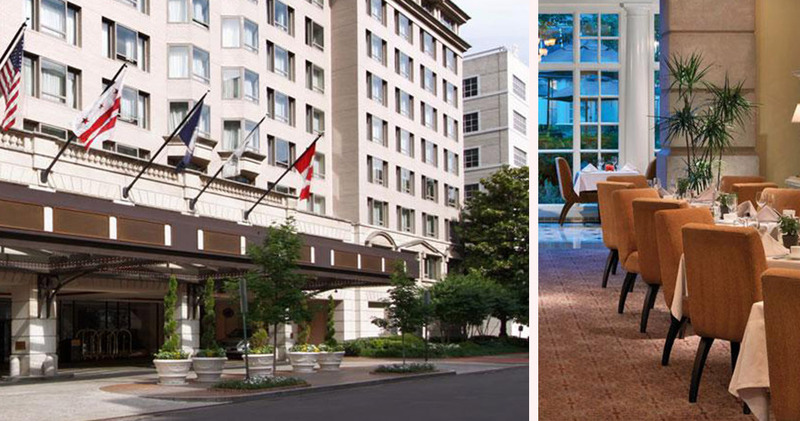 Located in West End, Fairmont Hotel is close to the historic neighborhood of Georgetown. 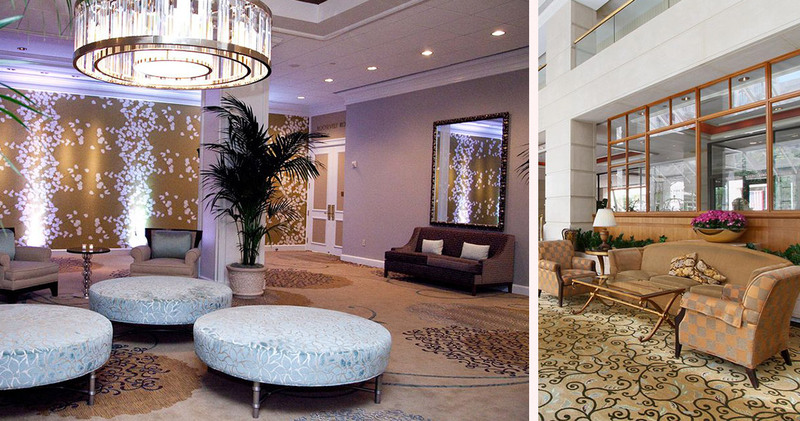 This luxury hotel blends traditional decor and modern design, creating a graceful and sophisticated look. 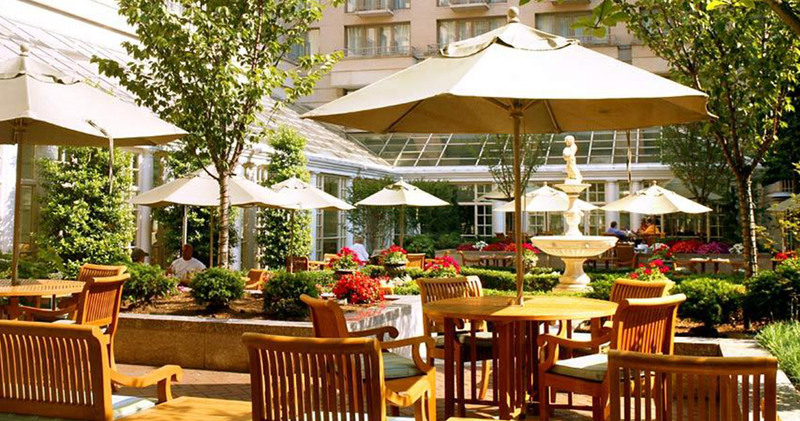 With its large windows and lush gardens, Hotel Fairmont Washington D.C. is an open, sunlit oasis. 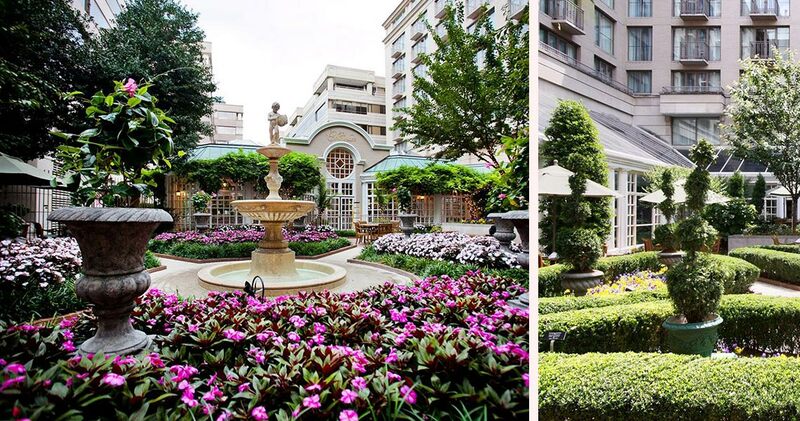 The lobby features an indoor-outdoor seating arrangement, and the tranquil courtyard garden has a sparkling fountain and abundant greenery. 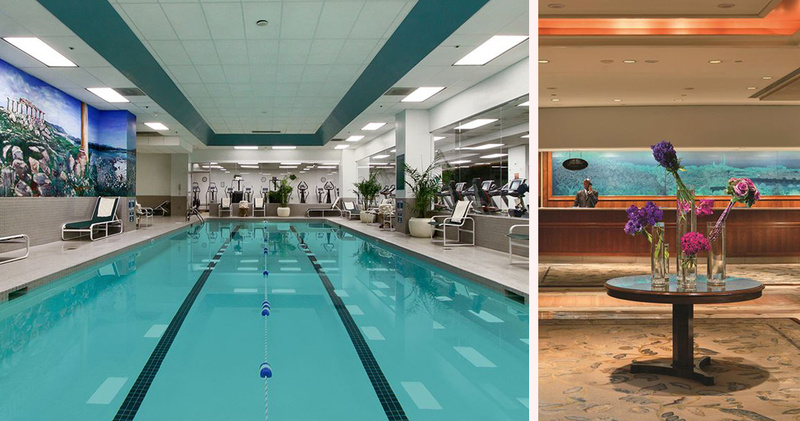 The hotel also has a salt water indoor pool and a full-service gym with Yoga, Spin, Pilates and Barre classes. Upon request, the hotel provides MP3 players, yoga mats and Reebok workout gear. 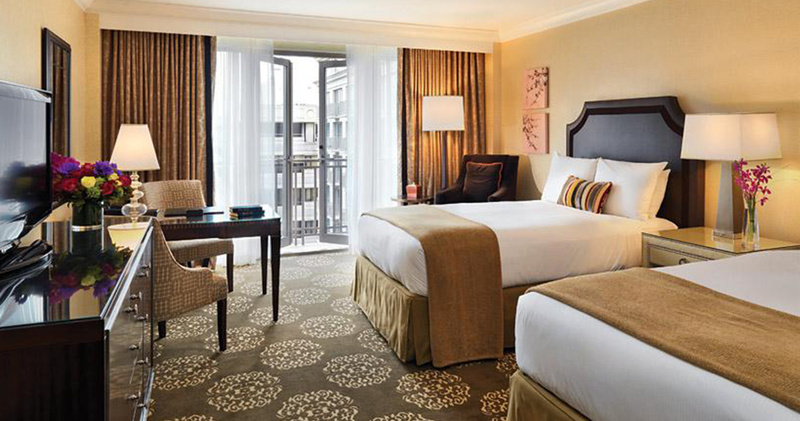 The guestrooms at Fairmont Hotel are tranquil, spacious and contemporary. Featuring soft furnishings, rich fabrics and tasteful colors, the rooms are comfortable and inviting. The walls are adorned with floral artwork, bringing the lush beauty of the hotel’s courtyard garden indoors. A comfortable seating area and a spacious desk are available in each room. The large bathrooms feature deep Italian marble tubs and deluxe Le Labo products. Fairmont Hotel is home to the Juniper Restaurant. 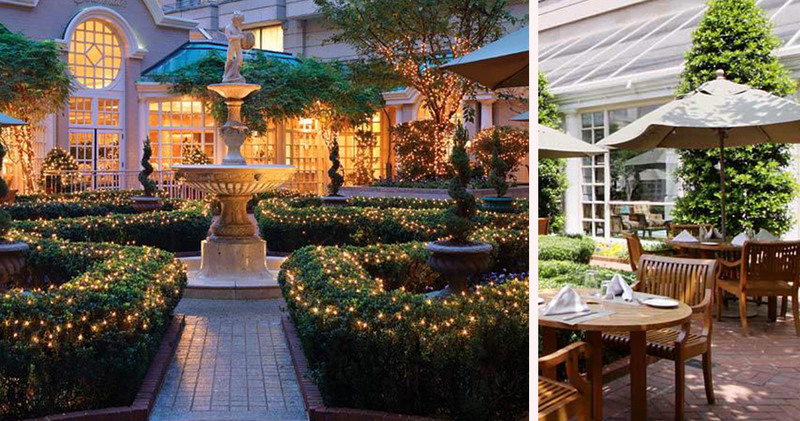 This sophisticated restaurant features a bright dining area, classic decor and beautiful courtyard views. It serves modern American cuisine made with locally grown, sustainable ingredients. 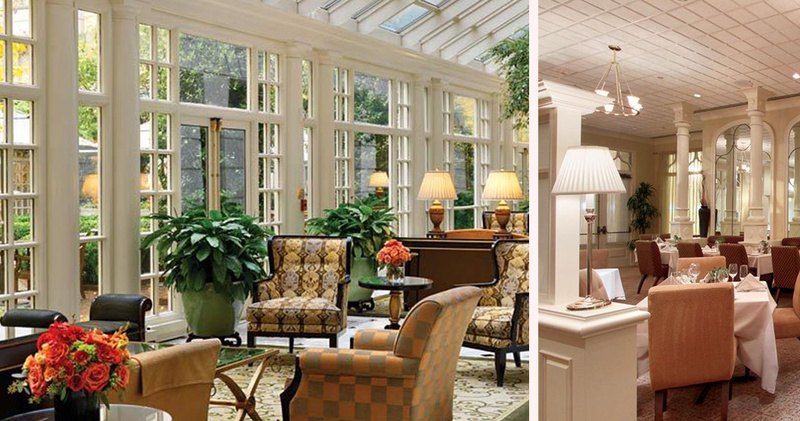 The hotel is also home to the Loggia Lounge. Overlooking the garden, this elegant lounge serves light fare, classic cocktails and fine wines to the accompaniment of live piano.